It was a very good experience. I really enjoyed every day. Landscapes were beautiful. Meals were delicious. 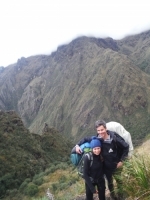 Some parts of Inca Trail are difficult from physical point but when you over come them you can feel big satisfaction. I haven't been at Machu Picchu yet. We will visit it tomorrow. 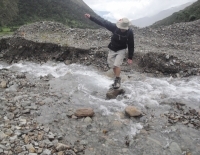 First we did the Salkantay track for three days. I find the Andes very impressive. To walk there beware of the beautiful and wonderful mountains was a great experience. My Machu Picchu experience was very beautiful. 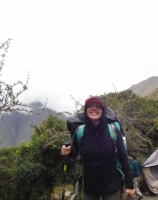 I did the 4 day Salkantay trekking and I would not have want to miss it. The surroundings of Machu Picchu are extraordinary. 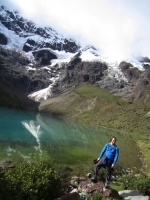 You have very high snow-peaked mountains, big valleys, rock fields, rain forest. A real complete trip. The adventure to Machu Picchu has been fantastic. 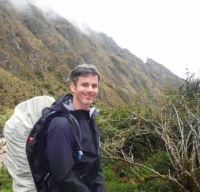 It was really great wandering around the Andes. I enjoyed the fact that people didn't know where I was in the world. Victor had a great ability to get us to lunch everyday before the rain. 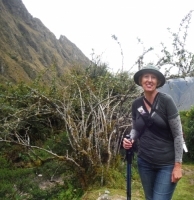 Trekking the Inca Trail has always been my husbands dream, so when he retired we decided that this was the time to do it. It has been an amazing experience. 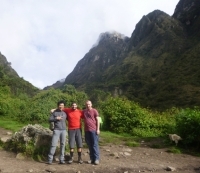 Much harder than I expected, but due to the care of the two guides, Carlos and Nilton, never daunting. You can do (or run) it ! 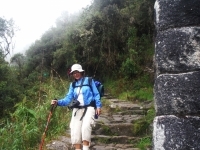 Even if the Inca Trail is a very tourism and famous trail, I enjoyed a lot this experience. These 4 days were very funny, interesting and amazing. 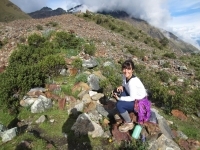 I strongly recommended this experience to all the lovers of nature, South America history, and adventure. 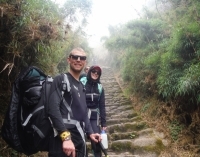 Machu Picchu trail was one of my best moment ever. My girlfriend and I are dreaming about that and now it's come true. We bring back so much souvenirs at home, more than we can expect. Words cannot express how amazing this hike was. 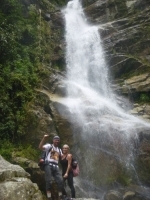 Our guide Carlos was very knowledgeable, always putting our safety first and everything he shared with us was amazing. He truly is the King of the Mountains ! Nilton was always waiting for us and never left anyone behind. Thank you Carlos and Nilton for everything ! My girlfriend and I had an amazing experience with our tour guide Robert. 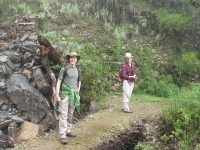 He was extremely professional and knew everything there is to know about Inca Trail and its history. The tour guide company provided us with all the documents necessary for expedition and made sure we were taken care of.